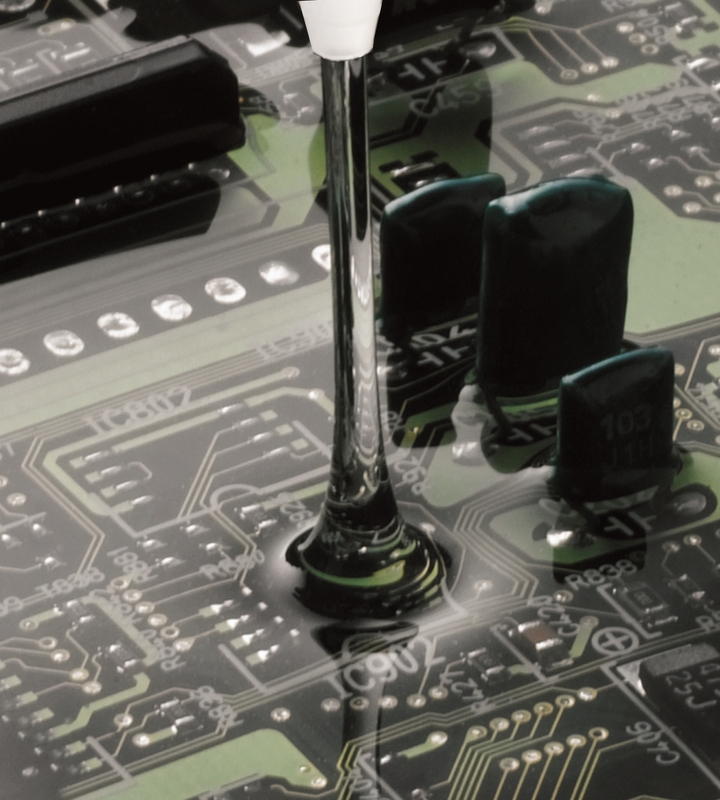 Techsil has launched a new range of optically clear encapsulants that help deliver better performance in electronic assemblies. The demand for encapsulants and potting materials is dramatically, with the market size projected to reach US$3.13 billion by 2021, registering an annual growth rate of 3.7% between 2016 and 2021 Increasing demand from the consumer electronics industry is the major driver for the potting compound market. The specifications for this market are high, with many design engineers looking for products offering brilliant long-term clarity, good protection from environmental factors, along with excellent thermal characteristics. Techsil’s range of four new optically clear encapsulants are designed to have an excellent refractive index and great UV stability; perfect for potting LED lighting assemblies for example. RTV27844 is a crystal clear, low viscosity, two-part silicone that cures at room temperature to a high strength rubber with a thermal conductivity of 0.45W/mK. It’s used in potting solar cells and assemblies where component identification is desirable. PU22985 is a two-part water clear potting polyurethane that cures to form a tough 85 Shore A material with good abrasion and hydrolysis resistance and thermal conductivity of 0.3W/mK. It was developed for potting of luminaires, LEDs and doming applications. MG 8322 is a two-part clear potting epoxy that provides a tough resilient finish to environmental and chemical ingress; it’s used to pot LEDs and electronic assemblies in protective blocks. Finally, TSE3051 is a convenient one-part silicone that cures to a soft transparent gel. With low viscosity it is able to penetrate complex assemblies and once cured, provides cushioning for delicate components and protection from humidity and dirt.